You and a guest are invited to a special advance screening of Focus starring Will Smith and Margot Robbie on Monday, February 23 at 7PM in Salt Lake City! Click here to download your complimentary passes. Passes admit up to two, while supplies last. Passes do not guarantee admission, as theater is overbooked. Please arrive extra early for ticket exchange procedures. 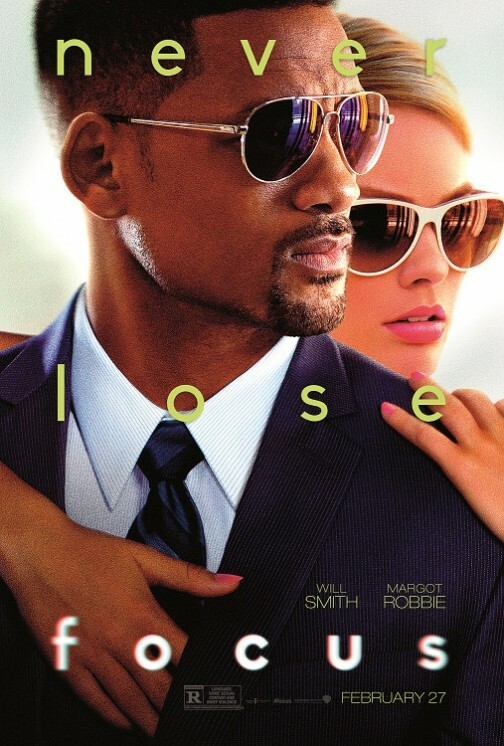 Will Smith stars in Focus as Nicky, a seasoned master of misdirection who becomes romantically involved with novice con artist Jess (Margot Robbie). As he teaches her the tricks of the trade, she gets too close for comfort, so he abruptly breaks it off. Three years later, the former flame — now an accomplished femme fatale — shows up in Buenos Aires in the middle of the high stakes racecar circuit. In the midst of Nicky’s latest very dangerous scheme, she throws his plans for a loop … and the consummate con man off his game. The con is on February 27! Focus has been Rated R by the MPAA for language, some sexual content and brief violence.